In Southern California, it is hard to tell the seasons apart. You have to look up at the trees to see if there are leaves or not. The time of the sunset is another dead giveaway. Are there flowers yet? Similarly, there are signs that the housing market has officially changed. There is a steady stream of buyers at open houses for all homes priced below $1.25 million. Sellers are entertaining multiple offers within days of coming on the market. Buyers are writing offers before even seeing the home. That’s right; the crazy Spring Market has arrived. Many are scratching their heads knowing that the first day of spring is not until March 20th. That is when the days are longer, the flowers are blooming, and trees are sprouting their new leaves. However, the Spring Market in Southern California actually starts in February and runs all the way through the end of May. The expected market time, the amount of time it would take to place a home onto the market and then into escrow, dips to its lowest level of the year. Orange County housing is already moving at a feverish pitch. This year will be similar to 2017 when the expected market time dipped below 60-days, considered a hot, seller’s market, throughout the entire Spring Market. Spring 2018 is going to be hot. Buyers will be faced with tremendous competition to buy, and sellers will be running the table. Take a look at the velocity of the market already. For detached homes, the expected market time dipped below 60-days for the first time since the start of April 2017. It is less than a month, 29-days, for homes priced below $500,000. For homes priced between $500,000 and $750,000, it is a 31-day market. It is a hot market for homes priced between $750,000 and $1 million with a 39-day expected market time. From $1 million to $1.25 million, it too is below the 60-day threshold at 51-days. From $1.25 million to $1.5 million, it is still considered a seller’s market, just not a mad rush like the lower ranges. The market is very hot for attached homes, currently running at 41 days. It is a hot, seller’s market for all attached homes priced below $1 million. The hottest range is condominiums priced between $250,000 and $750,000. That range represents 82% of all attached home demand. For detached homes priced above $1.5 million and attached homes priced above $1 million, the market does not lean in the seller’s favor. As prices rise, sellers are faced with a much slower market. They represent 31% of the inventory and only 9% of demand. For the rest of the market, we are back to bidding wars. When a home procures 15 offers, there is only one winner. The other 14 buyers need to go back to the drawing board and start the process all over again. It is extremely frustrating being a buyer in today’s market. 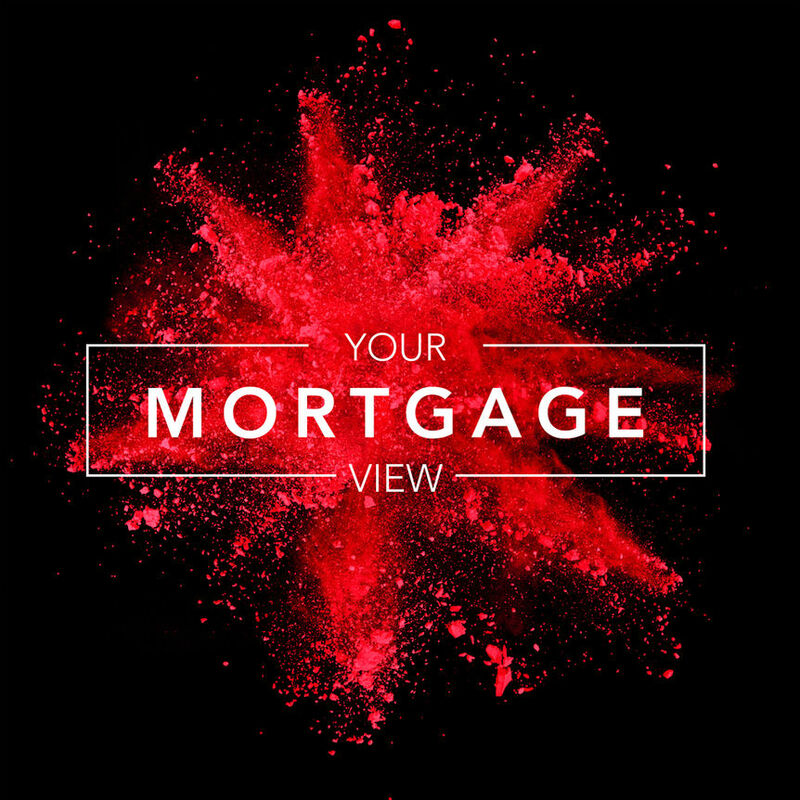 After losing out on one or two homes, most buyers sharpen their pencils and are prepared to write very strong offers in their attempt to secure a home, maybe even stretch the offered price a bit. That is how buyers have been approaching the hot Spring Market selling season since 2012. Warning to Buyers: regardless of rising interest rates and the volatility of Wall Street, the market is not going to change anytime soon and tilt in the buyer’s favor. The trends are lined up in favor of sellers with tremendous demand and a very low supply of homes to purchase. Warning to Sellers: pricing very close to the most recent comparable pending and closed sales is fundamental in order to find success. The active inventory has already started to increase despite red-hot demand. This is due primarily to the fact that many sellers cannot help themselves. They ignore the comparable data and reach for the moon, overpricing their homes and sitting on the market without success. 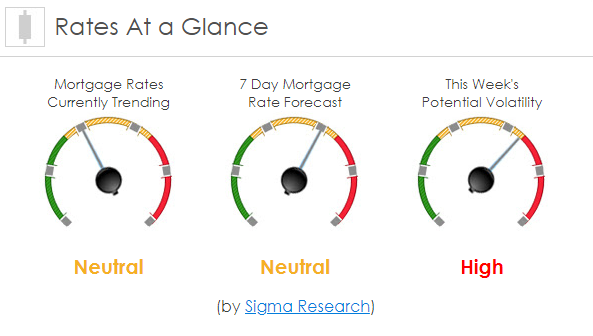 Mortgage rates are trending sideways to slightly lower so far today. Last week the MBS market worsened by -11bps. This may’ve moved mortgage rates slightly higher last week. Mortgage rate volatility was very high last week.